I’ve long believed that food is a narrative. If you look at the ingredients and the cooking style, food tells you where you are, where you’ve been, who you are, or even who you want to be. Food tells a story. Back in Tkaronto (Toronto), I was disappointed with my choices of food. A lot of it bland and boring. 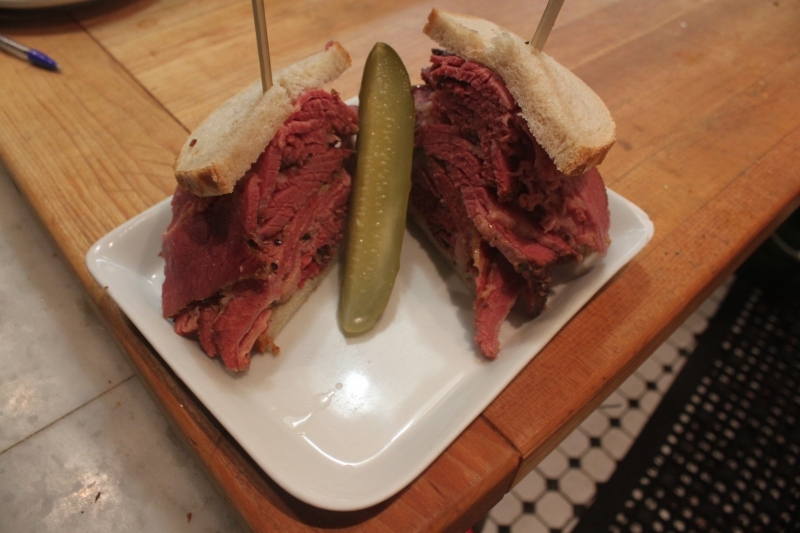 Eventually I found a few haunts I enjoyed, and one of my favourites was Caplansky’s Deli. Caplansky’s Deli is a Toronto institution– a classic Jewish deli on College Street that everyone should visit at least once. Chances are, you’ll visit again. Whether it was a smoked meat sandwich, split pea soup, a salad, maple and beef bacon donuts, I always loved what I ordered. Food at Caplansky’s told a story– the story of the Jewish diaspora in Toronto. It’s a story of a rich cultural history, rooted in tradition, but willing to adapt and progress with the changes of time. They make their own smoked meat, and many other foods, in house, but they also sell cheeky t-shirts and house-made mustard; they also opened one of Toronto’s most recognizable food trucks. Dammit, just thinking about Caplansky’s makes me want their smoked meat sandwich. Sadly, I doubt I’ll be able to find anything here in Amiskwaciwâskahikan (Edmonton) even close; Caplansky’s is a unique story, one not likely to be replicated. But the same can be said for food in Edmonton. In Edmonton, the farmers’ markets are unparalleled. Fresh, local fruit and veggies. Baked goods. 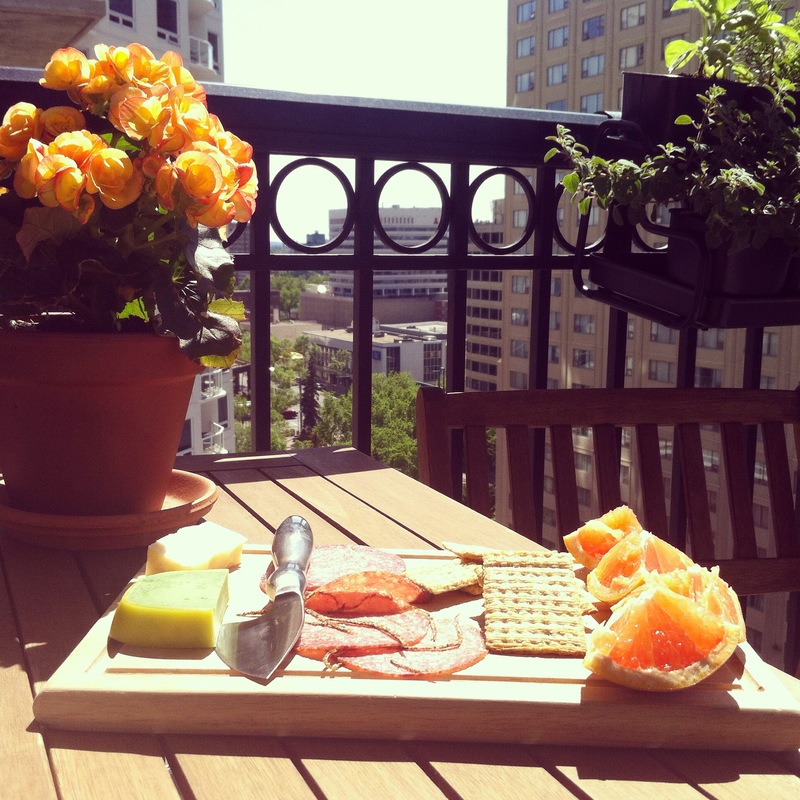 Organic, free-range meats– even game meats! I found it so hard to grocery shop in Toronto, but being back in Edmonton, I suddenly want to eat everything. In Edmonton, there is value in hunting/growing/making your own food. Quality, local food is celebrated. The relationship with the land is much different, and it has an impact on the food available. While I could easily go back into my old favourites for food here in Edmonton, I think I need to find new adventures in food. New stories. Even if I have to learn to make it myself and tell the stories on my own. First stop– smoked meat?